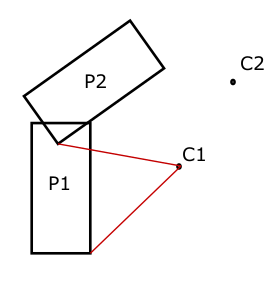 Things that we have: 2 dimensions, a object with it's coordinates (object P1), it's rotation center (pivot) C1. After that lets rotate it at pivot C1 by known angle A. Now let's move that pivot by vector V1 so now C2 = C1 + V1. EDIT: Ok, so here I'll clarify what I'm trying to achiev: please refer to this image2: we have object P1, we have rotation center C1 and we rotate that object by known angle so we get in result object P2. 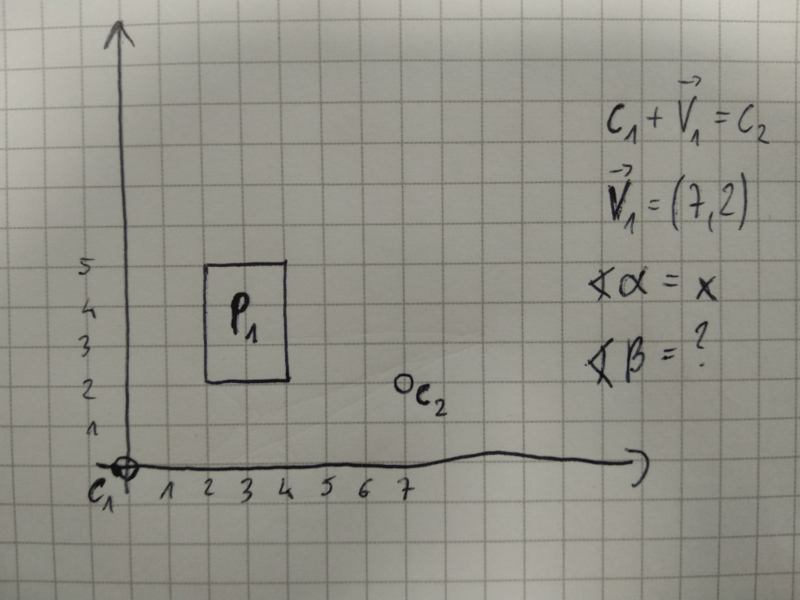 Now we place new point, lets call it C2 and what I'm trying to get is to transform P1 vertices referencing to C2 point (to be exact I think it will be new rotation and some translation vector) to get exact same object like P2. And that vector Vt should be added to all original P1 vetices. Thanks for help! Browse other questions tagged matrices geometry analytic-geometry transformation rotations or ask your own question. Finding rotation matrix with respect to a given point in space.